Why is this website different from all other websites? On this website we provide you with the most extensive variety of information on the Passover holiday. ►Passover food also available on Amazon. Click Here! 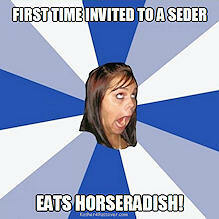 just before the First Seder. as we get closer to Passover.